While in Oslo, Norway I jumped into a taxi and asked to be taken across town to a place called Frogner Park, where I heard there was a permanent installment of world famous Vigeland Sculptures. During the 1920’s and 30’s Gustav Vigeland arranged the many sculptures along the park’s main walk bridge, inner garden, a monolith stair structure, and it’s adjacent fountain. When I arrived the park was gorgeous with its wide-­‐open grassy lawn lined with tulips and various towering trees, plus it was a warm and sunny day, perfect for a stroll in the park. 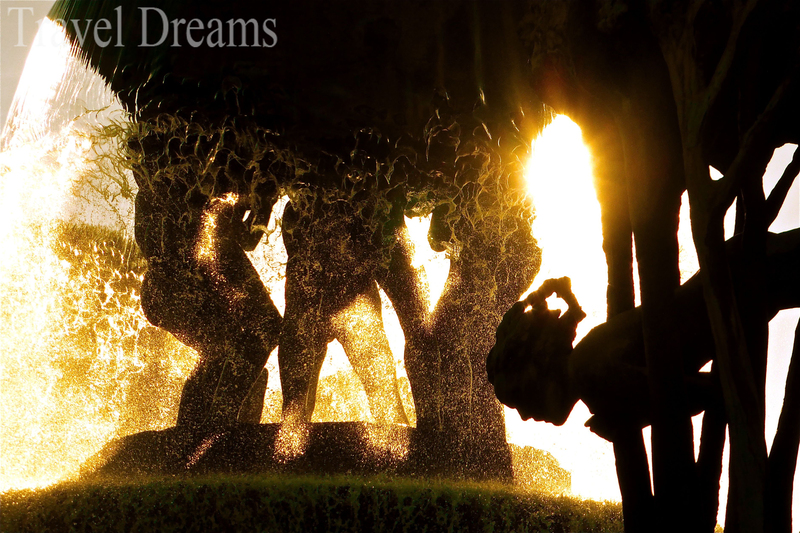 This photo was taken looking through one corner of the Vigeland Fountain.